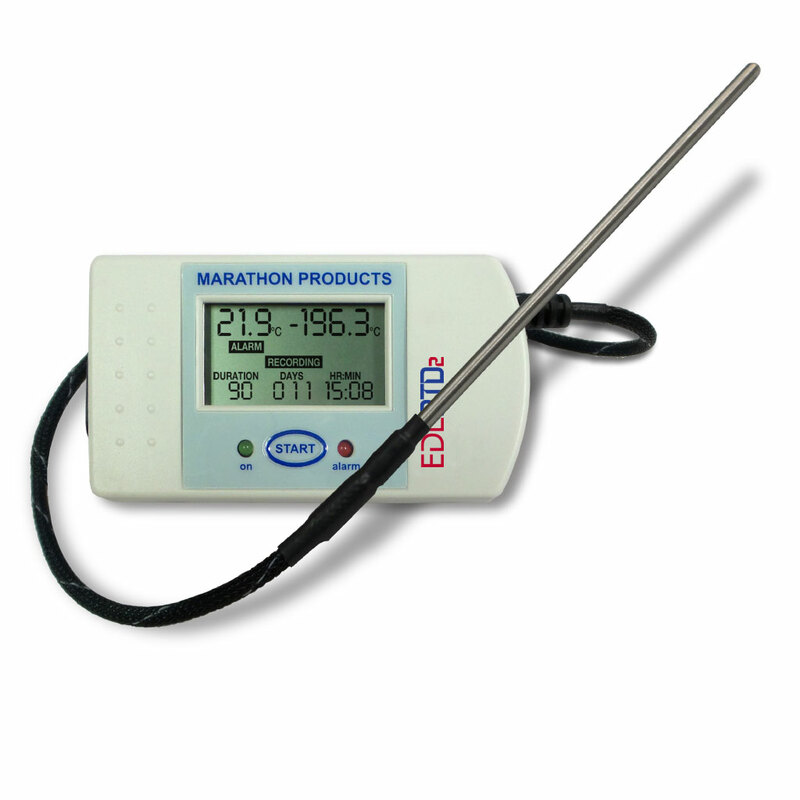 ECHO - Marathon Products, Inc.
A Mid-range Temperature Data Logger with Audible Alarm for recording and documenting temperature changes. 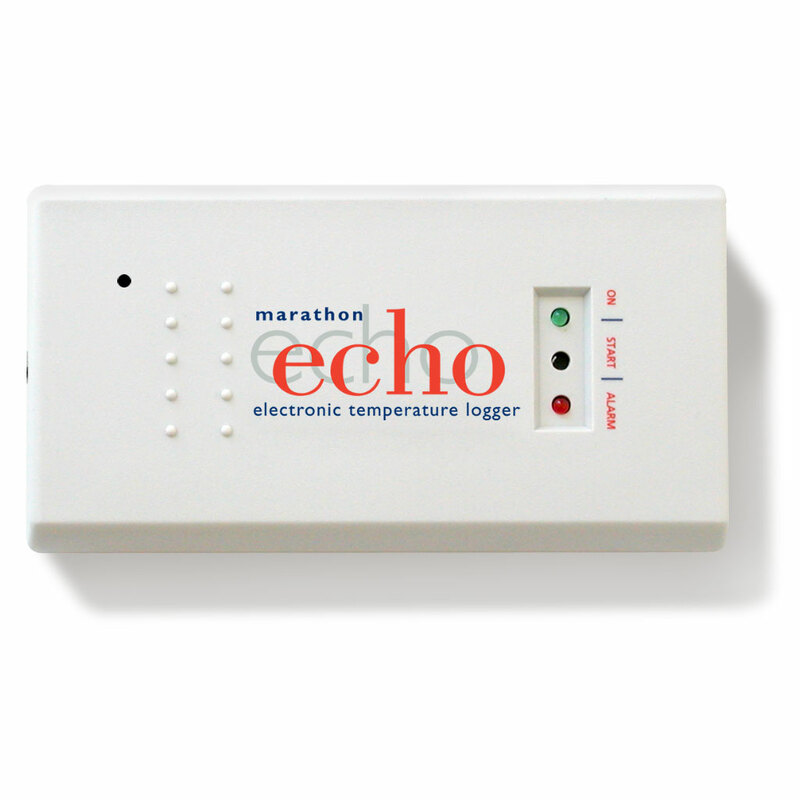 The echo has the same specifications as the 3c\temp, but includes a built-in audible alarm with a very clear electronic sound which can be heard even under noisy circumstances. An excellent general purpose data logger. This multi-use data logger is a low-cost and effective solution for temperature monitoring of refrigerated vaccines, biological material, chemicals, pharmaceuticals and documenting the transportation of fruits and vegetables. It boasts a convenient palm-sized design. Optional probes are available but not required. The internal thermistor accurately records time and temperatures for user-selectable readings in Celsius, Fahrenheit and Kelvin. Flexible: The internal firmware is user programmable and provides the following features: start time delay, sampling intervals, high and low alarm values, recording status, and measurement data. Operation is as easy as pressing the Start button on the recorder. Visual Alarm: All our data loggers have the ability to program alarm limits. Should the temperature reach levels outside these limits, the onboard red LED will light until reset by the user. 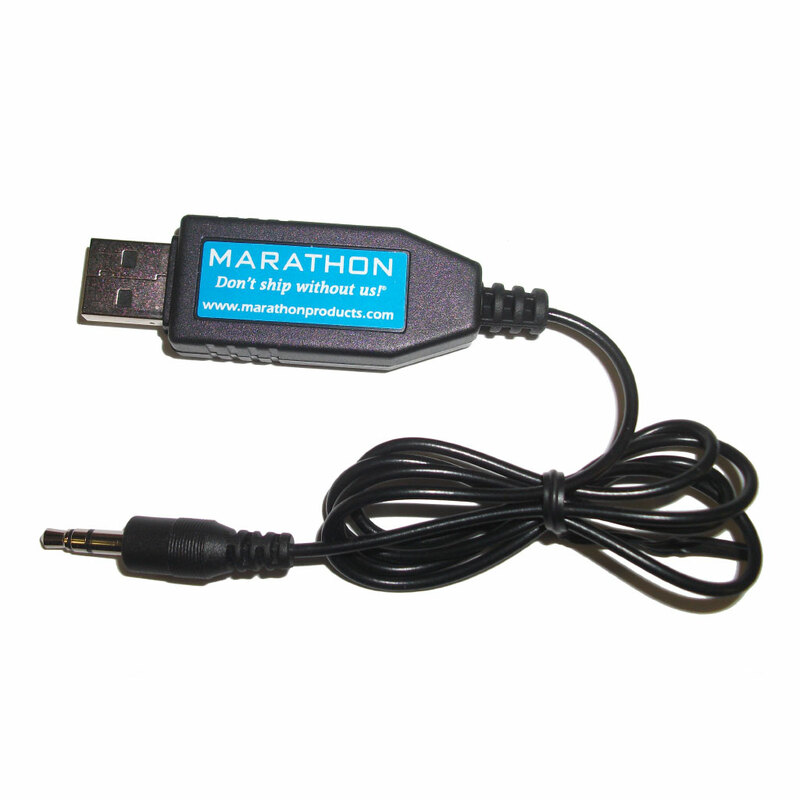 Computer Ready: After recording, simply download all of its data to your PC with the IC-9P serial cable and Marathon’s easy-to-use MDAS-Pro software. Compatible with Microsoft Windows XP, Vista and 7, 8 & 10. 21CFR compliant software is available with full database capabilities. 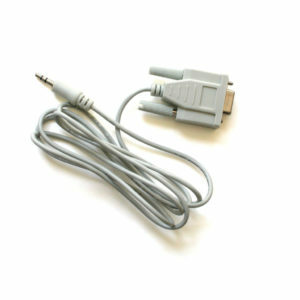 We also offer a USB to Serial Port adaptor. Software and cables sold separately. High and Low Alarm Limits LED indicator alarm set by temperature and time. Power Source Two 1.5v Alkaline Batteries. 2 year shelf life. Call for Battery Replacement price. Weight 106 grams / 3.7oz. 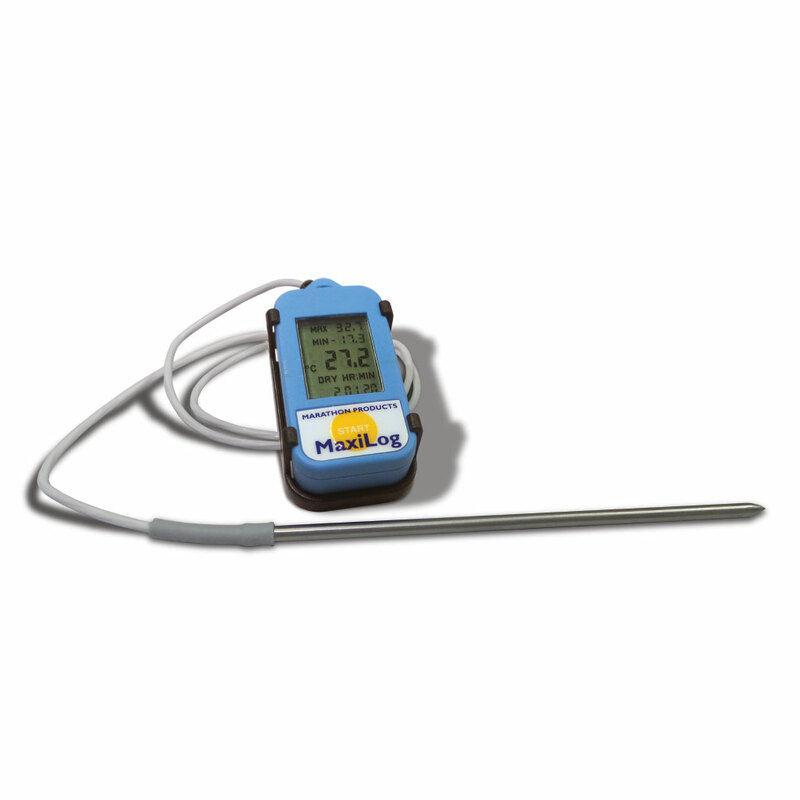 Optional probes available for ambient or liquid measurement. Call for info. 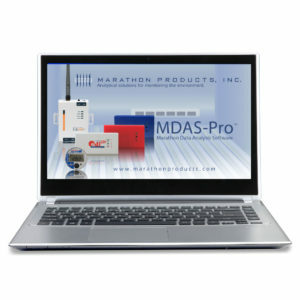 Our MDAS-Pro software is the ideal solution for managing and analyzing data from multiple data loggers from multiple locations. 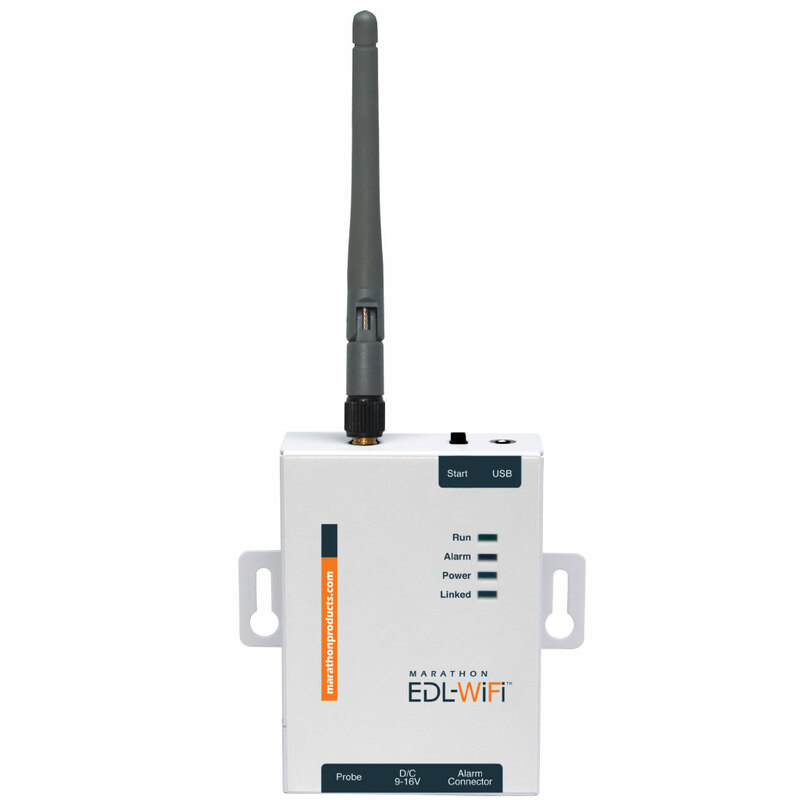 With IP Address access MDAS-Pro is location independent so data loggers located anywhere can be centrally monitored and managed.